It felt like a blur, but after four months of play that was maddening, yet exciting at the same time, here we are now. Only four teams remain, others may even go as far as to say that we expected these four to be in this spot in the first place. The NU Bullpups have been the favorites to win the title despite none of their players making it to the Top 5 of the MVP Race. Finishing at 13-1 was an expected result. However, things haven’t been as smooth as their record may suggest. Outside of blowout wins versus cellar dweller teams, the Bullpups have looked vulnerable. It started versus DLSZ, where the Junior Archers limited the half court offense of the Bullpups, only to sputter in the end as NU’s defense locked them down. The same happened versus FEU. Both Ateneo games were tough wins. They may be the favorites, but it won’t be a walk in the park. 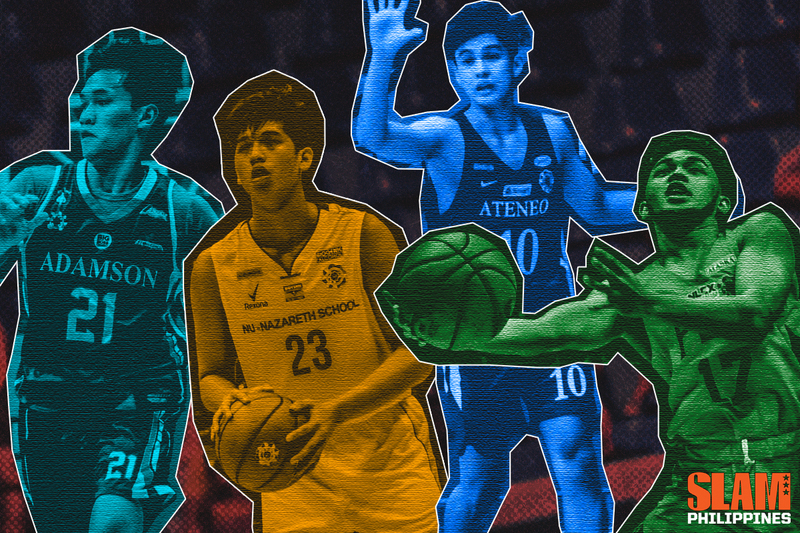 The Ateneo Blue Eaglets are the youngest team among the remaining four, but there is an argument to be said they are the ones that have looked the best as of late. After losing a tight game versus NU to start the second round, Ateneo has stamped its class the rest of the way. Outside of a nine point win versus the UST Tiger Cubs, the rest of the wins by the Blue Eaglets have been by double digits. Convincing victories, where they’ve established themselves with their size at the front court. Turnovers continue to hobble this young group. At this point, if they’re able to limit their giveaways to less than 20, it becomes extremely difficult to shut them down. Among these four teams, the FEU Baby Tamaraws are arguably the most difficult one to assess right now. It hasn’t been a rosy second round for the Baby Tamaraws. It started with a surprise blowout loss to the Blue Eaglets. Then it was punctuated by an upset loss to UST no thanks to Jomar Amador’s baseline jumper. Entering the Final Four coming off two straight losses was the worst that could have happened to the Baby Tamaraws. Make no mistake about it, there is talent within this group. At the end of the day, it may boil down to this team’s confidence level as they enter the postseason. The Adamson Baby Falcons have been one of the more steady teams this season. They’ve been the dark horse, a title they’ve held ever since their run last Season 80. This time around, however, they’ve looked more composed despite teams having an idea already of how they run things. They don’t have a lot of big names like the other three teams, but this is a group that has depth, and all the tools to potentially pull off an upset. As loaded as NU may be, there are select players in this team that continue to stand out. Gerry Abadiano has been this team’s rock thanks to his steady play. Carl Tamayo may just be this team’s barometer moving forward. Terrence Fortea is an electric playmaker who can put up points in a hurry. It isn’t difficult to determine who have been the most important pieces for the Blue Eaglets. One is seven foot tall, the upcoming MVP, Kai Sotto. He has been absolutely dominant, proving he’s a cut above the rest this entire season. The other player to watch out for is Forthsky Padrigao. His flashy game has started to become more substantial moving forward. One name stands out in FEU and for good reason. If you put RJ Abarrientos on any college team now, he would likely contribute in an instant. He’s that good. But FEU hasn’t been a one man show. 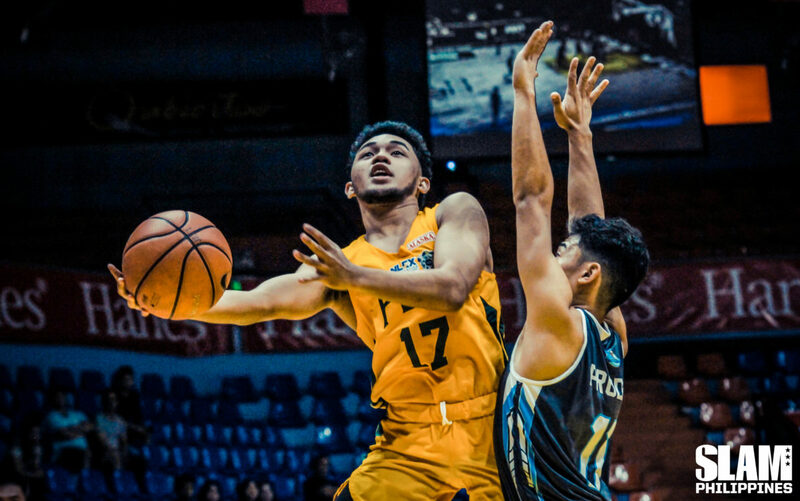 The player who’s served as the Robin to RJ’s Batman has been Royce Alforque, the versatile slasher who plays combo guard for the Baby Tamaraws. Despite having no National Team members, the Adamson Baby Falcons are fulled with up-and-coming players. Joem Sabandal has been this team’s best player, a versatile guard who moonlight’s as a wing in spurts. Adam Doria has long been a solid piece for coach Mike Fermin, with his outside shooting making him quite the threat. Ernest Felicilda and Kevin Quiambao may just serve as the difference makers between title or bust for the Bullpups. Felicilda is one of NU’s best perimeter defenders, choking teams to submission whenever they throw their full court press. Quiambao, on the other hand, cleans up the boards and acts as an interior presence for one of the biggest teams in the league. Sotto and Padrigao hold most of the headlines, but Geo Chiu and Ian Espinosa have been of utmost importance for these Blue Eaglets. Chiu, as fluffy as he may seem on the outside, is starting to come to his own as a big man with steady footwork and patience in the interior. Espinosa, on the other hand, has looked like the second coming of Matt Nieto with his IQ and nose for the ball. He’s just Grade 9, so there’s still tons of potential for growth. Depth and teamwork is the name of the game for the Baby Tamaraws. As talented and explosive as Abarrientos and Alforque may be, it’s Xyrus Torres who could be the barometer for this group. He’s long established himself as one of the best set shooters in High School basketball, finding better balance this year. If he gets going, the floor opens up for the rest of the Baby Tamaraws. 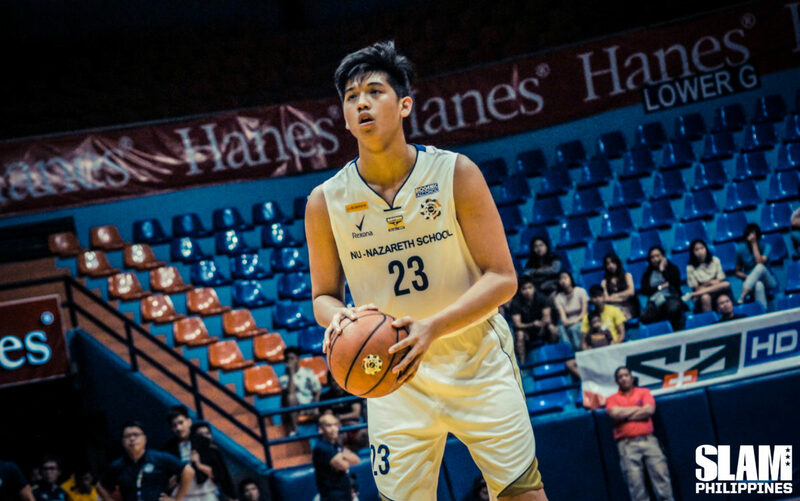 Don’t just recognize him as the kid who dunked on Kai Sotto. AP Manlapaz is a legitimate talent, whose hops go beyond 10-second highlights. Slowly but surely, he’s learned to make good use of his God given gifts, grabbing rebounds and going for put backs with absolute gusto. Even if he doesn’t pile up the points, just bring that energy and motor to the table can make the difference for Adamson. NU and Adamson have had an interesting pair of games this season. In one of the biggest upsets of the season, the Baby Falcons gave NU its lone loss of the season during the first round in exciting fashion. During the second round, the Bullpups bounced back in dominant fashion with a wire to wire victory. This matchup will ultimately boil down to how well Adamson is able to defend NU, while also taking care of the basketball. The Bullpups feast on forced turnovers, as they pressure teams with absolute gusto from start to finish. 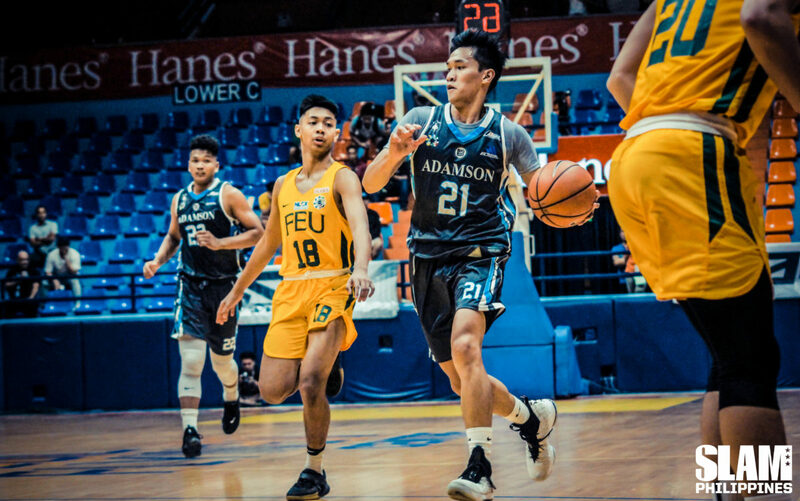 If Adamson is able to limit its turnovers, while also keeping the game tight, then they may have a shot at upsetting the juggernauts once more. 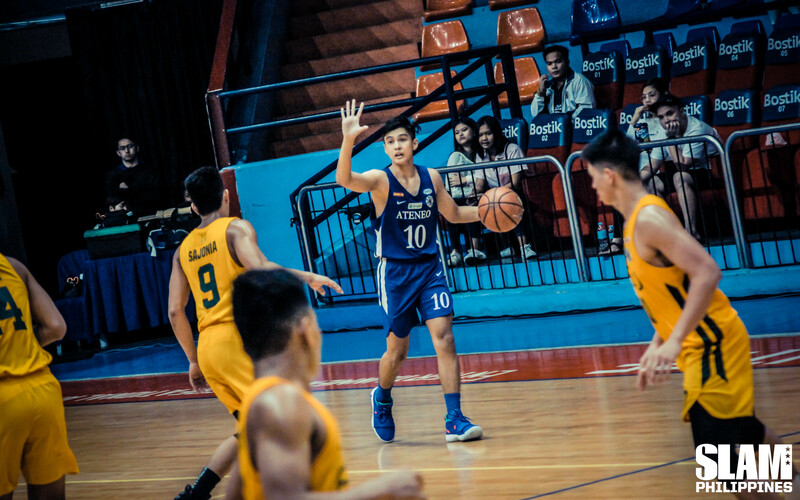 Ateneo and FEU have been rivals in Juniors Basketball for the longest time now, and they’re set to continue their rivalry in this season’s Final Four. In their first game, it took an RJ Abarrientos takeover in overtime for FEU to eke out a win against Ateneo. During the second round, Ateneo bullied its way to blowing out FEU, in arguably their most impressive win of the season. If Ateneo is able to establish their Twin Tower combination in an instant, this series will likely be over with in one game. The size and skill of that frontline has been incredibly overwhelming for even the most versatile of teams. If FEU wants a shot at winning this series, their shooting needs to get going so the game opens up for everyone. Opened up game means easier shots for FEU. That also means a stretched out defense, that will test the foot speed of Chiu, as well as the commitment of Sotto on that end.